Photo Caption: Day 66: Today’s piece is by Premier Pottery Preston. This chamber stick is unmarked but carries all the hallmarks of early Pamela/Remued of the early 1930s. I acquired this piece by happy accident and love it even more so because of it. Sometimes the story of how you got something is worth just as much or more than the piece it’s self. 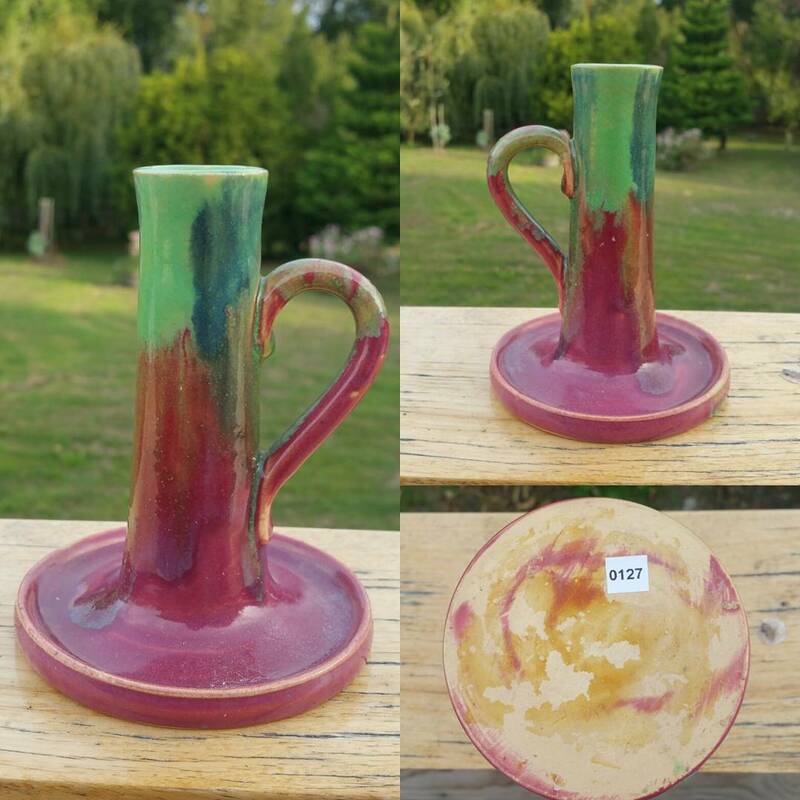 Dedicated to the discussion and understanding of all things Aussie pottery! Black 3column Theme v1.0 by www.ikovacic.net. Powered by Wordpress!